(Vancouver) Tuesday, November 27 – Ono Vancouver, a culinary consultancy organization, and Silver Chef, a hospitality financier, have raised $10,000 for the Dan’s Legacy Foundation for the charity’s “Dan’s Warehouse” project, a work-skills training program for youth in care, or aging out of care, who often face barriers to employment. Dan’s Legacy will use this donation to provide job-skills training to young people that would benefit from the program. In the past four years, Dan’s Legacy has helped over 300 youth meet their educational, housing and life-goals. This money was raised during the second Chefs in the Hood event, a collaborative pop-up dinner event on October 20, which brought together the best of Vancouver’s culinary talent. 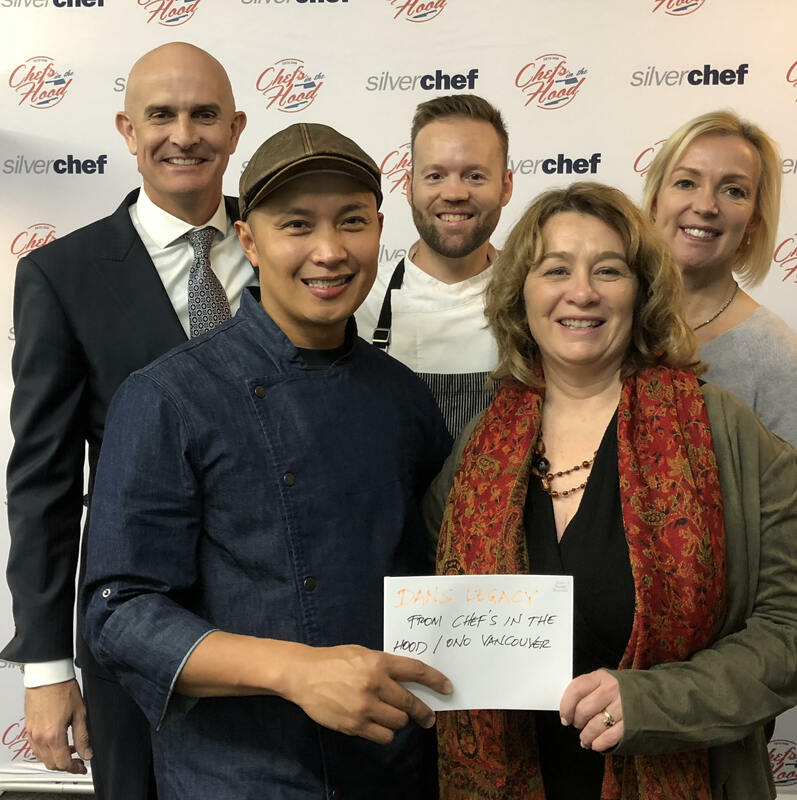 Chefs in the Hood was organized by Bruce Nollert and TJ Conwi of ono Vancouver, Alessandro Vianello of Gooseneck Hospitality and Sid Sachdeva of Pacific Restaurant Supply, with the support of Silver Chef. Dan’s Legacy provides therapeutic counselling and life-skills intervention programs to youth battling mental health and addictions issues resulting from childhood trauma and abuse. In the past three years Dan’s Legacy has helped over 150 youth meet their educational, housing and life goals.